A Magento extensions marketplace, flexible Ecommerce solutions. Have you ever had situations when customers ask to combine all orders from different accounts into a single one? Or want to assign guest orders to existing customers' accounts? By defaults Magento won't allow to do this. 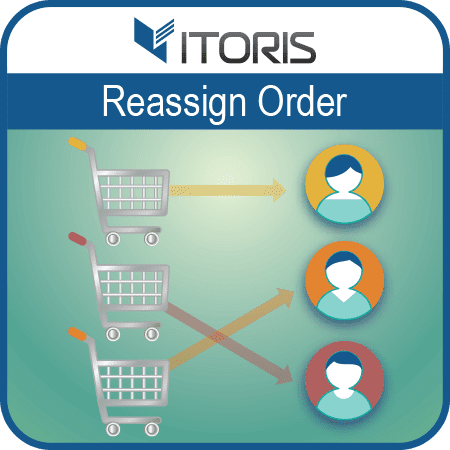 The ITORIS Team presents the Reassign Order extension for Magento 2 that helps to reassign orders to other customer accounts manually or automatically. Now when your customers want to reassign guest orders to their registered accounts, you won't have any difficulties with order reassignment. If you need to reassign multiple orders in bulk, you can find the additional action in the "Actions" control. Also the extension provides ability to notify customers by email to keep them in touch with the latest changes. Additionally, the full detailed history will be provided through the backend.